What do the hook sizes mean? Hooks sizes start a “0” and they go up and down. The next biggest size after “0” is “1/0″ then “2/0″ then “3/0″ ect. (pronounced “one ought”, “two ought”, “three ought” ect.). The size smaller than “0” is #1, then #2, then #3 ect. (pronounced number 1, number 2, number 3). So a #10 hook is a very small hook and a 10/0 is a massive hook. How do I pick the right hook size? Size of the hook is very important. Too big and the fish will get spooked and/or not get the hook in its mouth. Too small and your hook may not be tough enough or dig deep enough into the fishes mouth to hold tight. 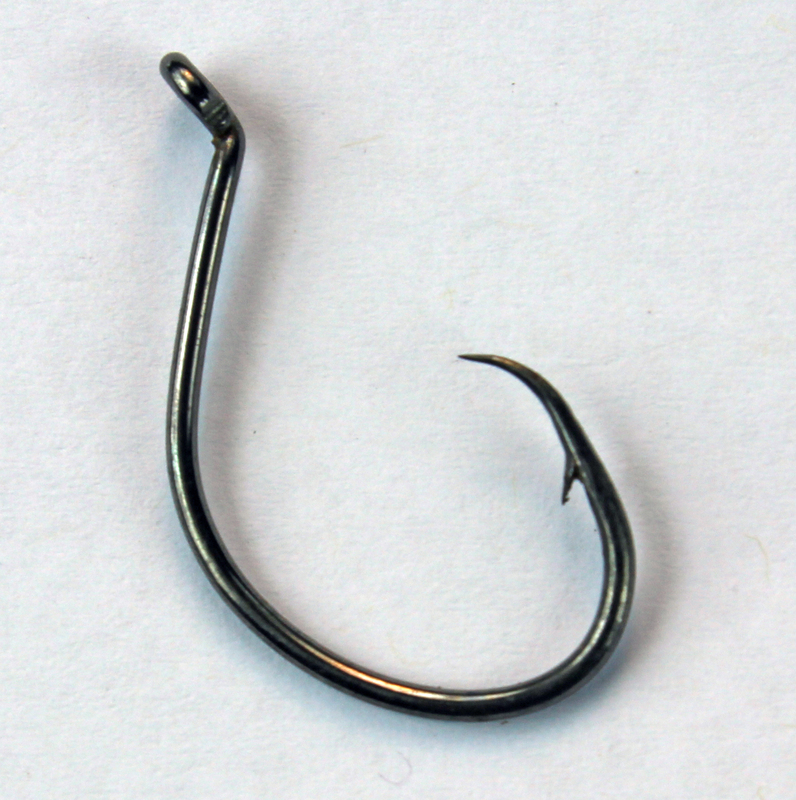 Small hooks mean you may also catch small fish which will disrupt your chances of catching bigger fish. Remember though, you can land a fish on a hook that is too small even if it is not ideal but you can’t catch a fish with a hook that is too big. If it doesn’t get in their mouth you aren’t going to catch them. If you get a lot of nibbles and bites but the fish never “take” the hook your hook is likely too big for the fish that are biting. But if you hooking fish and the hooks are tearing out or getting bent then your hooks are too small. Hook size is also dictated by the type of bait you are using. You can’t put a kernel of corn on a huge hook or whole bait fish on a small hook. Because carp have small mouths you almost never use anything larger than #4 hook and rarely anything smaller than a #12. But catfish have huge mouths and I have used 10/0 hooks to catch 60 lb catfish but I normally use 4/0 hooks for cut bait and #6 hooks for small baits like boilies and corn. Circle hooks’ points turn all the way back onto the shank of the hook making a full circle. Circle hooks are very humane because they rarely hook they fish in the tongue, throat or gut. Usually the circle hook ends up in the corner of the mouth or sometimes in the lips. This is because the point of the hook is bent 90 degrees back towards the shanks. The point doesn’t snag flesh unless it gets between the point and the shank, which only happens as the hook begins to leave the fishes mouth. fishing when you put the rod in a rod holder and may not be ready to set the hook right away. Circle hooks are also fabulous because fish rarely spit them out. 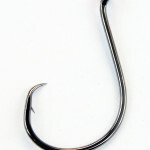 This is because circle hooks can only be removed by twisting the hook out. When taking out a deeply embedded circle hook grad the shank as close to the fish’s flesh and twist the hook backwards like it was a cork screw. 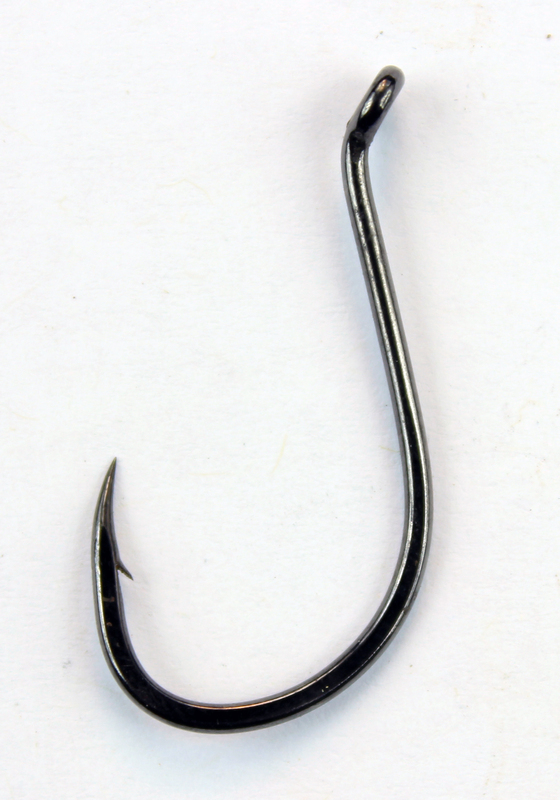 The difference between circle hooks and octopus hooks is the tip of the point. If the point is not bent 90 degrees it is not an octopus hook. Octopus hook should be set immediately when a fish bites bait so that the hook embeds itself in the fishes mouth not its throat or gut. put larger, thicker baits on a smaller sized hook without as much of the hook been exposed to the fishes view. This is a good choice for large cut baits when you are holding the rod in your hands rather than in a rod holder. 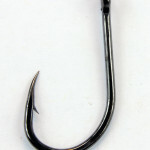 Bait hooks are distinguished by the barb or barbs on the shank of the hook. These barbs help keep the bait from sliding down the shank during casting. This is great for fishing with earthworms or corn. Bait hooks should be set immediately to avoid the fish from swallowing the hook. 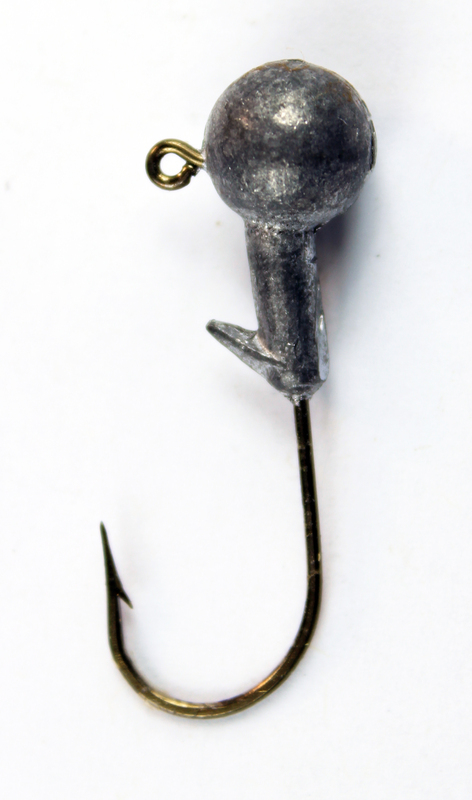 These small but tough hooks are great for catching big carp and cats on small baits. These also are the best choice for using a hair rig. Siwash hooks should be set like other hooks though using a hair rig and a decent size lead weight will eliminate the likelihood of that fish swallowing the hook even if you are very slow getting around to setting the hook. Consequently, for fish safety reasons I either use circle hooks, hair rigs or fish with the pole in my hand to avoid a fish fatally swallowing the hook. 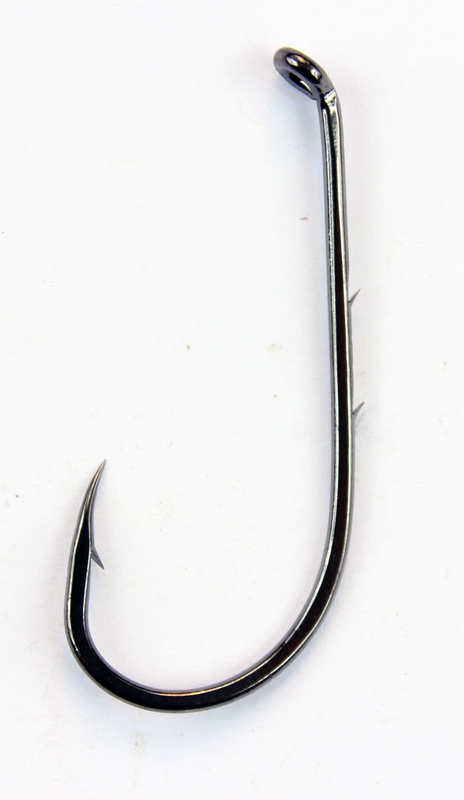 An aberdeen is thin delicate swiash hook with a long shank.The longer shank can prevent a catfish’s teeth from wearing through light gauge fishing line and the thinner gauge wire in an aberdeen is harder to see. The down side is that these hooks are not a great pick if you might hook into a really big fish. It might just bend the hook. Aberdeens work good with earth worm because the long shank gives you more shank to thread the worm on but aberdeen’s can be used with a hair rig as well. Remember to set the hook immediately if you are not using a hair rig. 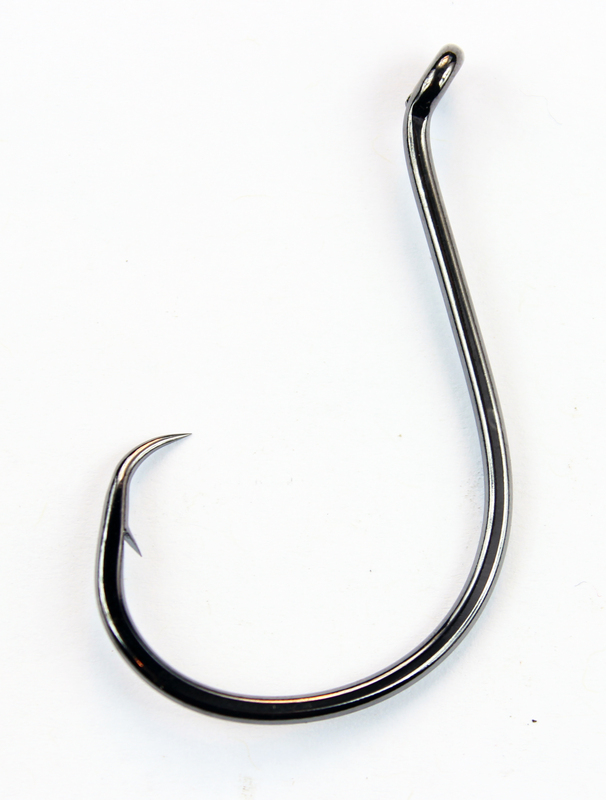 A great choice of hook for using with live bait. These hooks are designed so that swimming bait is less lightly to come off the hook or snag itself on the point while swimming. Remember to set the hook. Jig hooks can be weighted with a lead ball around the eye or they can be unweighted. Jig hooks have a 90 degree bend in the shank so that when properly baited they drag through the water with the point up. This prevents them from snagging into logs and rocks as they get dragged along the bottom. If you are going to drag or move your bait across the bottom or through snaggy water this might be good choice. Jig hooks are also for “jigging”. If you are going to bounce your bait up and down in a tantalizing manner, these hooks are designed to do just that. Jig hooks are not a good choice for a hair rig or for purely stationary bait fishing. 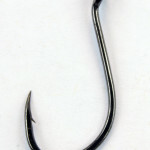 Treble hooks have three bends and points. 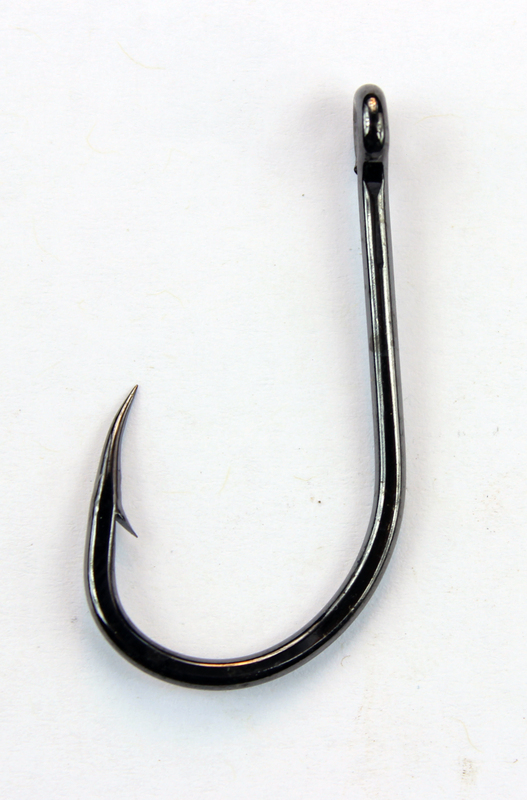 These hooks are not easy to hide, they can tear up a fishes mouth and they can be difficult to remove from a thrashing fish but they are more less likely to result in a fish getting away with biting your hook as long as you use a small enough hook. Treble hooks are also great with squishy baits that tend to fall off the hook like oatmeal, chicken liver, clams and fish guts. The three points add a lot of structural support for the bait. However, because of the amount of damage a treble hook does to a fishes mouth I don’t like to use them for bait fishing unless I plan on eating what I catch. Barbs prevent a fishing hook from coming out when their is slack in the line. Barbs on a hook are less and less necessary the better your fishing technique gets. Staying close to your rods, setting the hook quickly and never letting the fish have any slack during a fight mostly eliminates the need for barbs. As a fly fisherman I rarely ever use barbs and as my technique improve I saw no different in the number of fish lost or landed. The advantage of using no barb or smaller barbs is that the hooks are easier to remove and do less damage to the fish. The karma can also come back to help or hurt you when you hook yourself. I put a #6 hook into my neck a week ago and I was very grateful for choosing a micro barb. 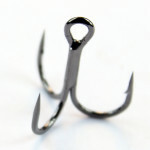 You can remove or lessen the bard on your hook by mushing it down with a pair of needle nose pliers. Get the absolute sharpest hook money can buy. By the time you tie a hook onto your rod you have bought rod, reel, line, lead, bait, license ect. Do go cheap on the only part that will touch the fish just to save $2. Some people sharpen their hooks periodically but insanely sharp hooks are so affordable now you can get away with just replacing dull hooks. Test the point of the hook by scratching it gently across the pad of your finger. It should be so sharp it feels slightly sticky. After a few fish periodically test the hook point and sharpen or replace it when its point is no longer sticky. Gamagatsu, Owner, Korda, and other manufactures specialize in ultra sharp hooks. 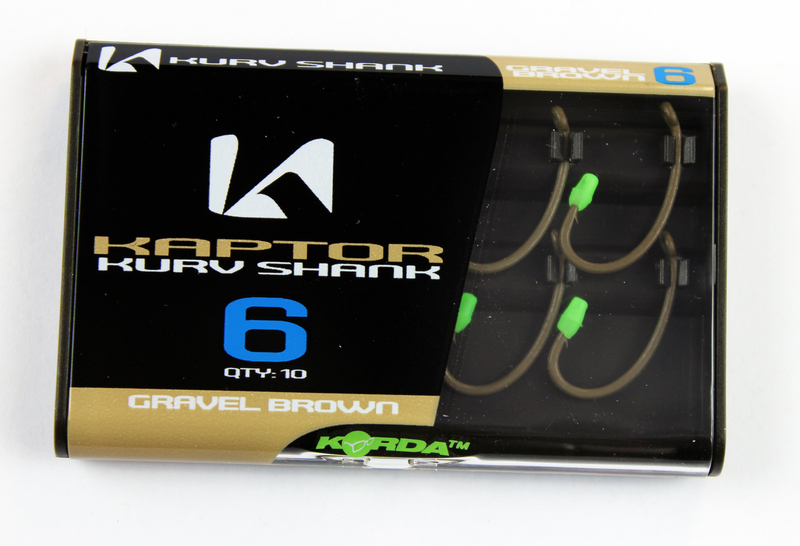 Korda Kapture Kurv Shank hooks are incredibly sharp, camouflaged and super-strong despite their tiny size. In cat fishing and carp fishing, hooks are meant to be felt, not seen. Don’t buy shinny silver or brass hooks if you can ever help it (which you can’t always). That polish is for the fisherman not the fish. Some brands sell red hooks. There are some interesting theories about red hooks but one misconception is that the color red is invisible underwater. This is not true. The color red does fade in deep water but it turns black not invisible. I prefer to buy camouflaged hooks whenever I can. Korda and some other manufactures of carp hook sells hooks in a variety of camo-colors to match various lake and river bottoms.